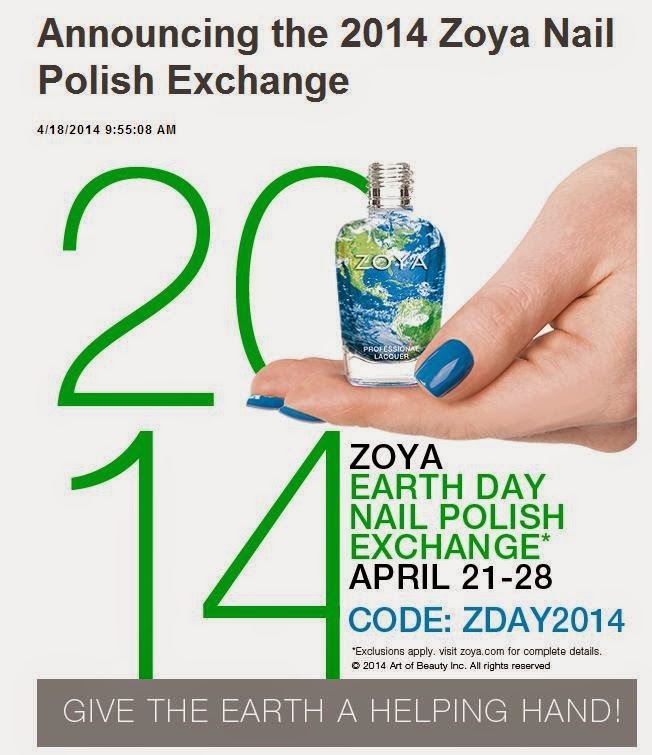 Beautiful Incentives: #Zoya #nailpolish Exchange! Ends 4-28! #Zoya #nailpolish Exchange! Ends 4-28! Here is their fine print! "You do not have to send us the exact amount of bottles that you are ordering. You can send any quantity up to that amount. The bottles you send in should be from any other brand - they cannot be Zoya, Qtica or Nocti polishes. We are using the honor code to make sure you get your Zoya Nail Polish as quickly as possible! First, we send out your new polishes - Then, you send your old polish back to us when it's convenient for you OR you may donate the polish to a local cause. Offer is not contingent on customer returning polish. If you do choose to send us your old polish, we promise to properly dispose of it according to EPA guidelines."